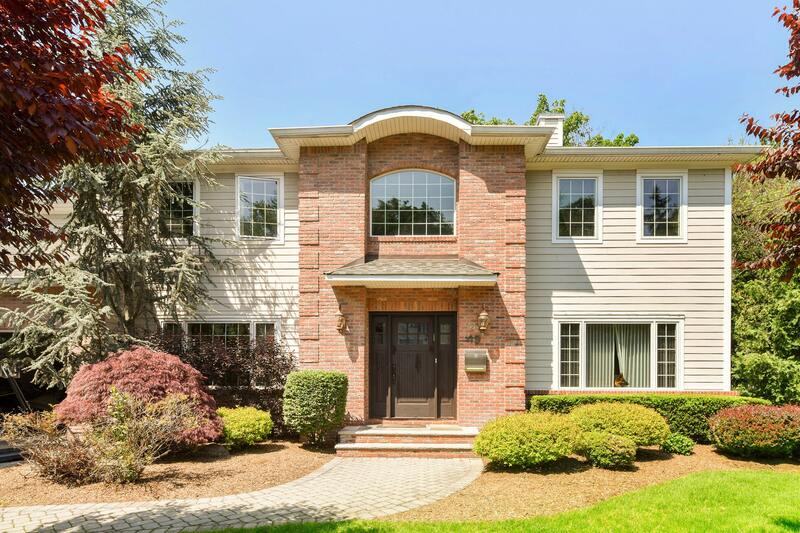 Welcome to this 6 bedroom, 5 and a half bath center hall colonial. First floor is complete with entry foyer, formal dining and living rooms, family room, eat-in kitchen, bedroom and full bath. Second floor features the master suite with master bath, 3 bedrooms, 2 full baths and laundry room. Other features include hardiplank and brick exterior, detailed moldings, 9 ft ceiling in first floor, 8 ft ceilings on second floor and basement and hardwood floors throughout. Full finished basement with bedroom, 1 and a half bath, sauna and recreation room is perfect for guests and extended family.